5th anniversary gifts are traditionally wood. The gemstone affiliated with it is Turquoise. Daisies are the symbolical flowers for a 5th anniversary. The symbolical color is Turquoise too. 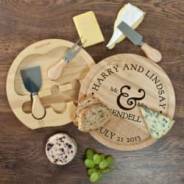 Plus to make your gift even more special you could also add a personal message too. 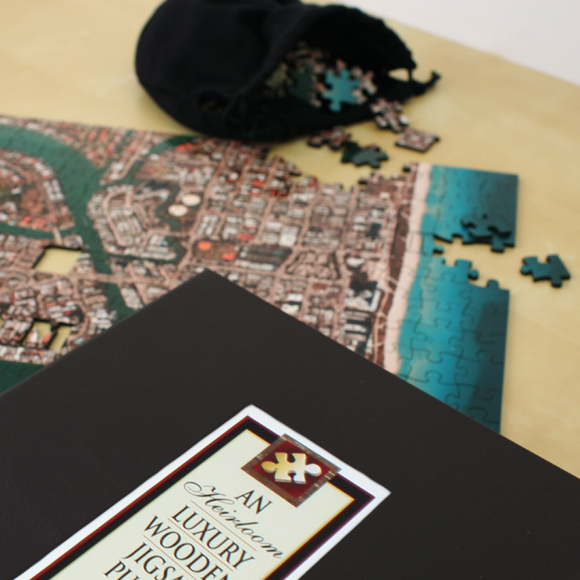 Here are lots of great personalized 5th Anniversary Gifts to buy for your husband or wife. 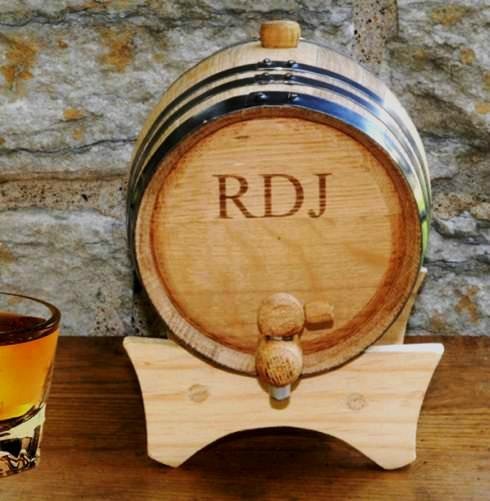 If your husband loves his whisky then this Personalized Wooden Whisky Barrel would be a perfect gift for him. 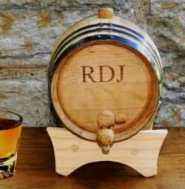 He will be able to barrel age his own blend and enjoy it with you on future Anniversaries. 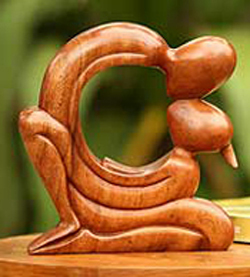 Wood represents a strong and solid relationship. Silverware represents connectedness. Or how about this very lovely photo cube? Make it even more personal by adding your favorite photos. This is one of those very cute anniversary gifts, it could be for your wife or husband and it works just as well if you were wanting a gift for family or friends. This wooden frame fits with the theme and it will be personalized with your names and your wedding date. If your spouse plays golf, why not give her/him a 3-wood or a 5-wood? 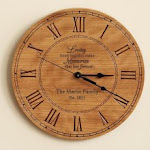 5 years together as husband and wife and with your own family this clock is a perfect gift. 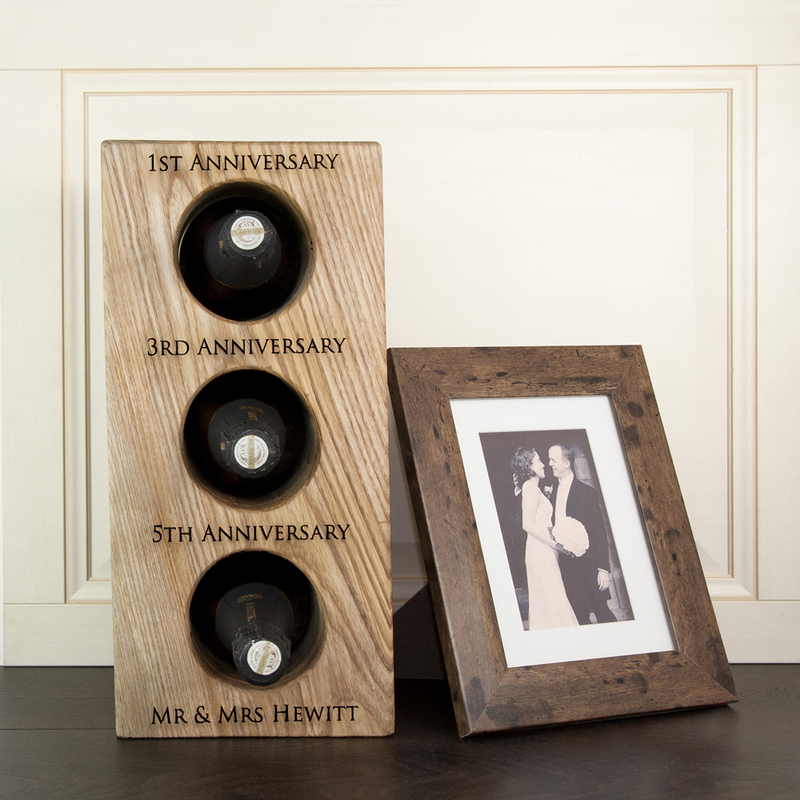 It celebrates the time you have spent together and the fun times ahead, plus it is in wood so it fits with your theme for this year. 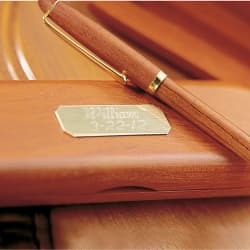 There are lots of items that are made of wood. 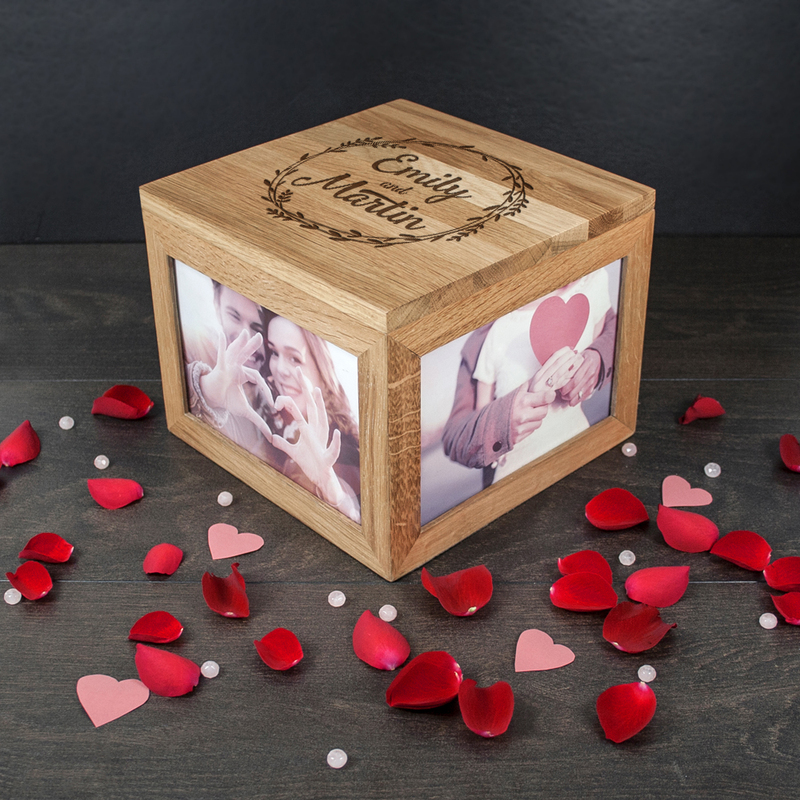 You can give your wife an ornate wooden jewelry box and include a pair of silver earrings. 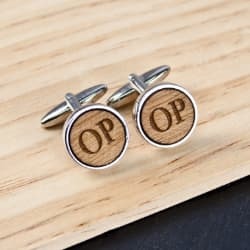 For the husband, a wooden box for storing cuff links and other knick knacks is really useful - especially if they can never find a matching set or you are always finding them around the house and even on the shirts in the washing machine - voice of experience! 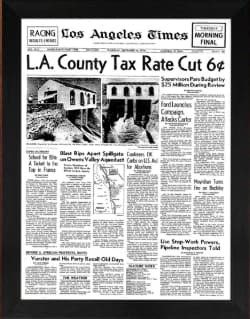 An inexpensive 5th anniversary gift to buy is a photo frame made of wood. You can spruce up the wooden frame by adding some imitation turquoise stones on it. Remember to insert a photo of you together. 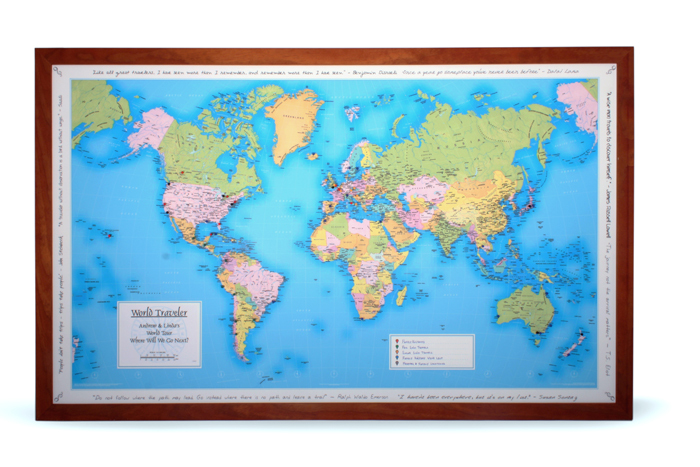 This gift is really inexpensive but the thought behind it is worth more than one can imagine. Get a big wooden box and fill it up with new books of your spouse's favorite authors, love notes you wrote or cards that you made yourself as an expression of how much you love her/him. 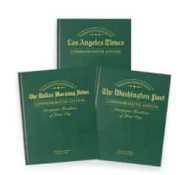 For a nice yet cheap 5th anniversary gift, give your spouse coupons of favors that you will do for her/him. Make a list of the possible errands and favors that you can do for your spouse. You can make her a coupon for a movie or dinner. You can give her a coupon that says you will help fix the house for 4 weekends. You can tell your wife that you will do the laundry or go to the grocery for a month, 3 months or more. Plus paper once was a tree, so it fits with the Anniversary theme! As a wife, you can give your husband coupons for free massage or cooking (or learning how to cook) his favorite meal. You can also offer to clean the car or accompany him to a ballgame. Think of possible favors that will make your spouse happy and label you a romantic. A set of new silverware is practical. Though this gift is not really romantic its practicality as a gift far exceeds its unromantic notion. To veer away from the unromantic, think of silver jewelry. Or you could think of the silverware at a restaurant and have a romantic evening out, just the two of you. Your two hearts belong together and this gorgeous necklace shows everyone how good they look together too. 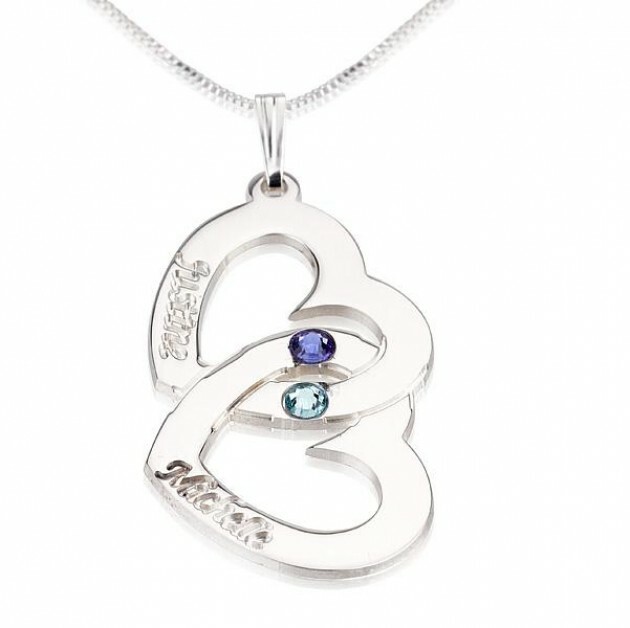 Your names engraved in each heart along with both of your birthstones.